Paso Robles, California-- The Central Coast Wine Competition was held from June 17-18, 2010 at the Paso Robles Event Center. A total of 527 wines from the Central Coast American Viticulture Area (AVA) as well as Ventura County were entered. The Central Coast AVA encompasses Alameda, Contra Costa, Santa Clara, San Francisco, San Mateo, Santa Cruz, Monterey, San Benito, San Luis Obispo, and Santa Barbara counties. For the past eight years the Central Coast Wine Competition has continued to grow, showcasing some of the finest wines produced on California’s Central Coast. This year, major changes occurred, including expansion of growing areas eligible to compete. The geographical boundaries will be expanded to include all of the Central Coast AVA and Ventura County. The Central Coast AVA is a large American Viticultural Area that spans from Santa Barbara County in the south to the San Francisco Bay Area in the north. The boundaries of the Central Coast include portions of six counties. With around 100,000 acres planted in wine grapes, the AVA is home to several smaller appellations that share the same cooling influence from the Pacific Ocean. The other new key component is a ground-breaking, networking solution in the California fair industry that will showcase the winning wineries. The California Mid-State Fair will be partnering with the Santa Barbara County Fair, Monterey County Fair and Ventura County Fair to host the Central Coast Wine Competition. The Central Coast Wine Competition is the largest wine organized evaluation that recognizes wines produced exclusively from vineyards grown on the Central Coast regions of California. This event promotes the excellent quality and diversity of commercial wineries and grape growers while recognizing the fastest growing wine regions in California. 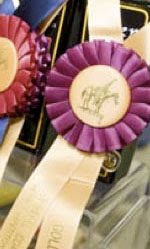 The Judging Panels for the 2010 Central Coast Wine Competition will be comprised of wine professionals representing a variety of fields within the wine industry. The selection committee will see that the makeup of the judging includes a distribution of wine industry professionals such as winemakers, winery principals, retail and restaurant wine buyers and sellers, wine journalists, educators, trade professionals, and serious wine collectors. To qualify for entry in the 2010 Central Coast Wine Competition, 100% of the grapes used to produce the wines must have been harvested within the Central Coast AVA Wine Region or Ventura County.